Weekend Post: Scenic Recovery Presents….! Get ready to start seeing these around town folks. 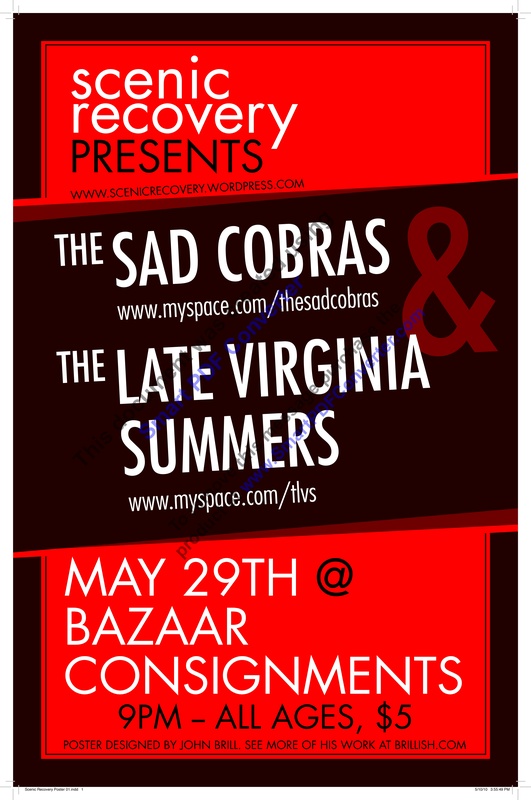 We dreamed up this gig, and we’re proud to make it happen at the Bazaar this month. This entry was posted in Music and tagged John Brill, The Bazaar, The Late Virginia Summers, The Sad Cobras. Bookmark the permalink.